When it comes to starting a business, there are few roles as important as your bookkeeper and accountant. Sound bookkeeping and accounting are vital for small businesses to get up and running, and to maintain their financial stability. Bookkeeping and accounting professionals perform a number of tasks that are essential for your business, including having your books in order, staying in compliance, filing taxes on time and correctly, managing payroll, and more. If you’re considering starting a new business or are already in the beginning stages, you might be concerned that you don’t have the right professional to manage them. 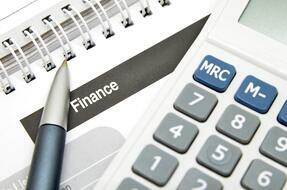 Do you need an accountant or a bookkeeper to take on these crucial functions? Explore this blog to learn about the differences between bookkeepers and accountants, and find out what your business needs. While all of these functions are essential to the success of your business, a bookkeeper plays little to no part in the planning and strategy of your operations. They are focused on recording data pertaining to your business and facilitating your financial operations. Ultimately, an accountant is responsible for helping your leaders to understand the financial impact of the data gathered by bookkeepers, and use that information to create accurate business projections and guide necessary changes. With an expert accountant, your business can meet your growth goals and improve your operations. Accountants and bookkeepers play two vital but very different roles in your business. So, it’s important that you consider your needs carefully before you seek out a financial professional for your future — or decide to take on these tasks yourself. Does your business need someone to manage your day-to-day accounts? If so, look for someone that’s an expert bookkeeper. Do you need someone that can help you understand the bigger picture of your finances or prepare for an audit? In that case, an accountant is the best choice for your business. You likely need both, and because these tasks are so important, it’s often wise to hire dedicated experts with relevant experience in both accounting and bookkeeping. Learn more about the decisions that go into building your new or encore business. Sign up today for PCC CLIMB’s ENCORE Business Builders.